NABShow2015 - Whats New ? Whats Hot ? 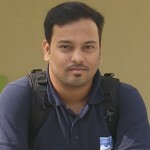 You are here: www.shivakumar.net > myViews > Videography > NABShow2015 – Whats New ? Whats Hot ? Its that time of the year when NAB Show the annual trade show produced by the National Association of Broadcasters kicks off in Las Vegas. Its an even eagerly anticipated from indie and professional film makers to broadcast communities world wide. Its a platform where new technologies are demonstrated and products which were once concepts are brought to life and showed to external world. Its also a place for all gear-heads to have a first look at the new cameras, accessories, editing suites, and lot more. This post will be a small sneak peek into whats some of the most promising and interesting launches that we got to see in NABShow2015. 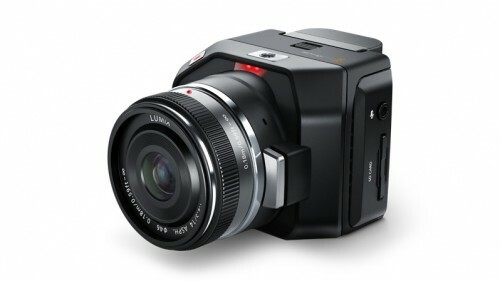 Two new interesting announcements from the folks at BMD are the URSA Mini and Micro Cinema Camera. The URSA Mini has a 4.6K Super35 resolution sensor, for which Blackmagic claim 15 stops of dynamic range. 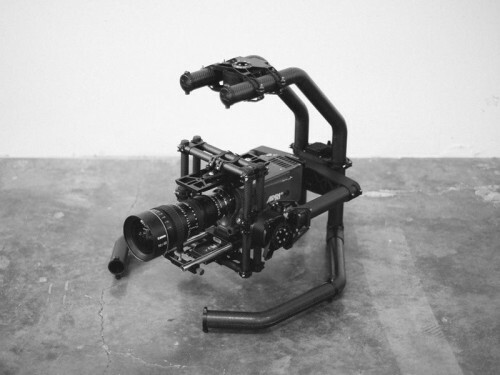 The design looks to be a shrunken version of the current URSA, more like Sony’s FS7. The Micro Cinema Camera is a very small form factor camera with a Super16mm sized sensor. It has a claimed 13 stops of dynamic range. The Camera has PWM and S,Bus controllers which could potentially interface with gimbals and remote controls on multirotors. The guys behind the uber famous/successful Phantom series of quadcopters ( who have even released 2 new versions of Phantom 3 just a week ago ) have just released a younger sibling to their Ronin series of brushless gimbal called the Ronin M. Ronin is trying all that possible to gets its share of market from the front runners like Freefly MoVi. Ronin M is a smaller form factor and aimed mainly towards the smaller cameras like Panasonic Gh4 and Sony A7S and similar. Weighing just 5 pounds (2.3kg), about half the weight of the original Ronin, the slimmed down Ronin-M is small enough to fit into your backpack and take anywhere, yet strong enough to support camera setups weighing up to 8 pounds (3.6kg). 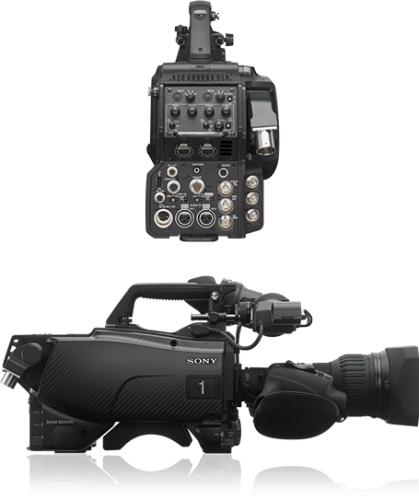 Sony’s big gear announcement at NAB this year wasn’t a large sensor camera or compact system camera. Instead it was a 4K 2/3? broadcast sports camera, the HDC-4300. 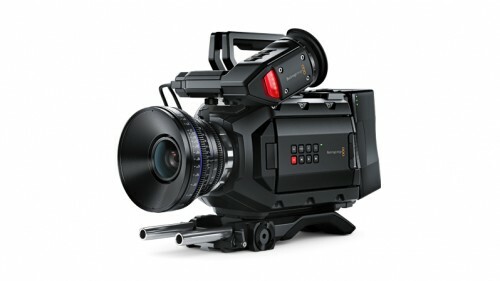 It’s capable of high frame rates up to 8x slow motion in HD. It will ship in May around $80K. 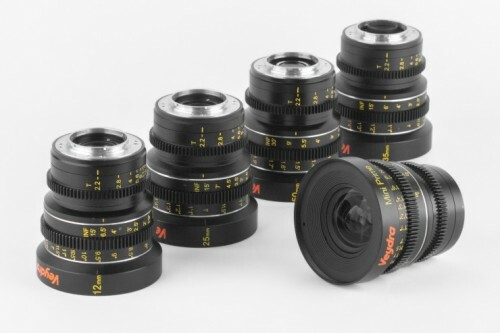 The folks at Veydra who came into limelight recently with their release of affordable high quality glass for the micro 4/3 genre of cameras, have announced that they are working on wide angle solution for the m43 cameras. Veydra was bound to make a move toward wide angle lenses, since the widest one in their line right now is a 12mm, and the company explained in their press release that it wouldn’t be the optimal option in some shooting conditions. For this reason, we are pleased to announce our ongoing Wide Angle Project with which we endeavor to make the perfect wide angle cinema lens for Micro 4/3 sensors. We are in the final design stages of completing a new Wide Angle Veydra Mini Prime. It will be either an 8.5mm or 9mm and likely feature a T2.4 maximum aperture. The prototype should be completed in the next several months and the expected shipping date will be sometime in early 2016 and will cost around the same as the 12mm Mini Prime, which is $1200. They also seem to be working on a affordable anamorphic solution under the Veydra Mini Anamorphic Project. This will be a huge boon for the indie film makers for whom the access and affordability to anamorphic systems is a biggest challenge. First of the 3 lenses they are launching would be Veydra Mini Anamorphic 2X 25mm T.2.2 M4/3 retailing for around ~ $5000. With the firmware Ver.2.2 for DMC-GH4, a new Anamorphic(4:3) mode enables video recording in 3328 x 2496 pixel (equivalent to approx. 8.3-megapixel) resolution with an anamorphic lens such as 2x*1. Anamorphic shooting is a cinematography method used to produce a cinemascope aspect like 2.39:1 or 2.35:1. The GH4’s 4:2:2 / 10 bit HDMI output is also available*2. In addition, the firmware also makes it possible to set 1/16000 sec shutter speed manually when using the Electronic Shutter. Panasonic also released new Panasonic Action Cam A1. A Point of View Full HD 1080p that is smaller and lighter than most action cameras, plus its tough and ready to go right out of the box. The A1 can provide a true point of view experience by mounting closer to your field of view. The Freefly ALTA unpacks, ready to shoot, in under five minutes. It is easy to fly, powerful, rigid, adaptable, reliable, and optimized for up to fifteen-pound payloads. Confidently fly RED, ARRI and other professional cameras, guided by our state-of-the-art Synapse Flight Controller. 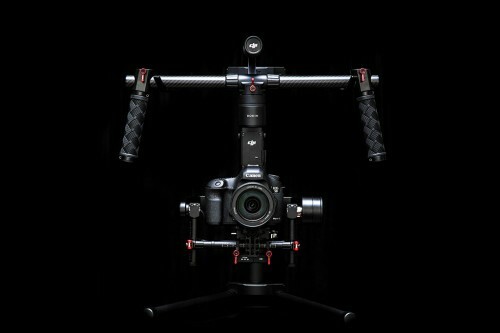 Capture aerials like never before with the option to mount the MoVI on top. 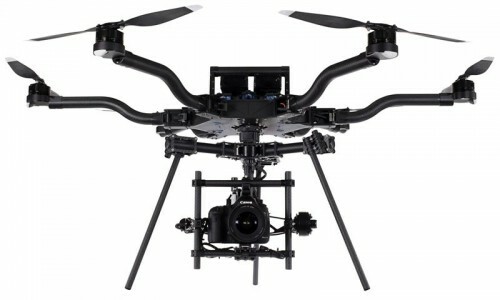 When the MoVI launched in 2013, Freefly enabled unrestricted camera movement in a way that wasn’t possible before. This year camera control technology leaps forward with the MIMIC. With this new, intuitive MoVI Control method, there are no joysticks, knobs or wheels. Just tilt, pan or roll and the MoVI will follow. Move the MIMIC and the MoVI will follow. It’s so instant and organic that operators can execute complex moving shots with precise framing after just minutes of practice. There is a segment of high-end cameras that Freefly had not tackled until now. 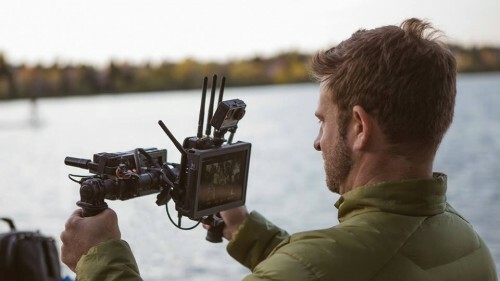 The MoVI XL’s design delivers the familiar benefits mobile stabilization and control to cameras such as the Phantom Flex 4K and the ARRI ALEXA for a MoVI with the largest productions in mind. Probably i had to keep the best for the last. The “WEAPON” of mass destruction is finally out, or may be as RED says “WEAPON of your choice is here”. 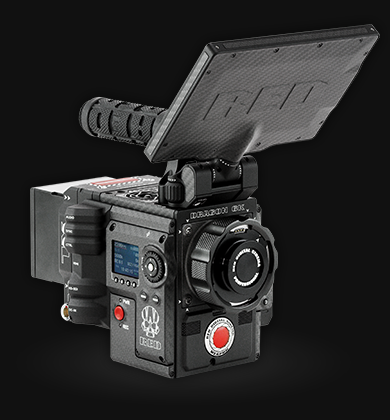 RED Digital Cinema unveils the newest member of the 6K DRAGON family—WEAPON™. Debuting at NAB, WEAPON combines the optimal color science and dynamic range of the 19 megapixel RED DRAGON® sensor with all new built-in functionality and intuitive design. When it comes to future proofing, upgrade, modularity last but not the least the quality of product & imagery nothing can beat RED ! To be updated with more interesting products as the show goes on . . .